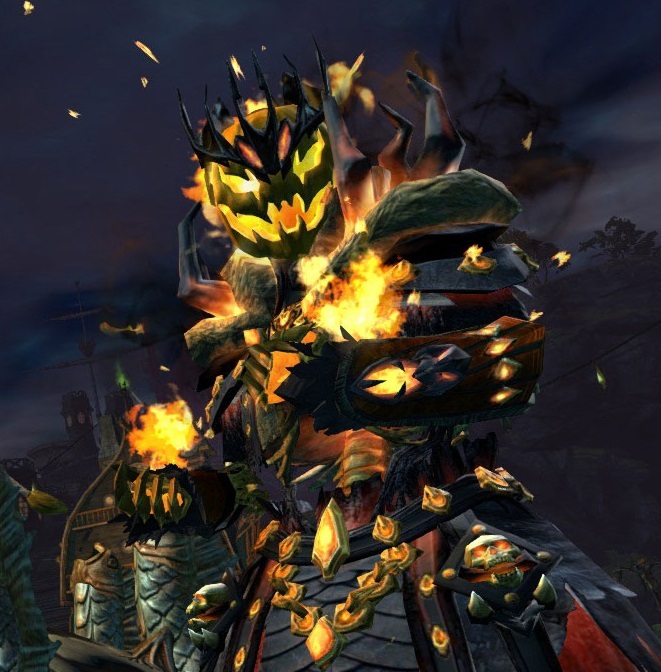 Shadow of the Mad King has returned to Tyria, just in time for the Spookiest of Holidays! All Guild members are welcome to attend the 2016 Phi Halloween Party. – Best Costume Competition: *Prize: Your choice of available outfit from the Black Lion Trading Company. To participate in the Costume contest, you must compose your costume using any combination of separate armor and/or gear pieces put together. Specialty hats, gloves, gliders, back-pieces and separate Black Lion items may be worn. Full Black Lion Outfits (i.e. Jungle Explorer, Pirate Captain) will not be allowed to compete for the prize of Best Phi Halloween Costume. However, you may wear a Black Lion Outfit to the Halloween Party if you are not in the competition.